It has been said that football is a religion. 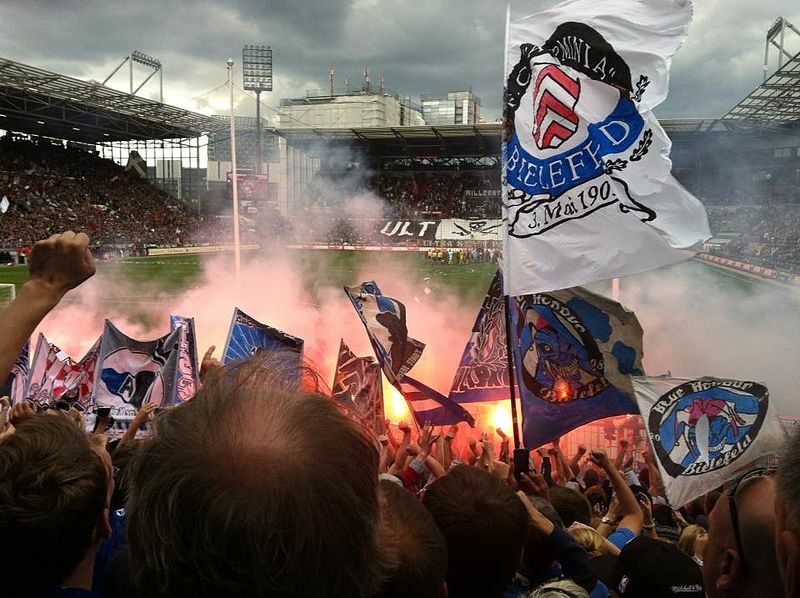 It is true that for many, attending a match can seem like a religious experience. The blind faith that one day your team will reach the promised land (of the Premiership), the sense of belonging, the passion and the weird attire all replicate that of many religions. Even the killing of the opposition supporters has been known to happen, but thankfully not to Inquisition style proportions. I suggest that the links to religion don’t stop there. I have been reading a book recently by the psychologist Jordan Peterson and in his opening chapter he makes the comment “Chaos and order are two of the most fundamental elements of lived experience”. We order our lives in a way that can cope with the chaos that life throws at us, whether it is health issues, financial problems or the elements of nature that are doing their best to make life difficult. I also follow Forest Green Rovers football club. I have been following with interest their first season in the English Football League. The club are now known more for their cuisine than their football, as it prides itself on being the only vegan football club in the world. It has been a tough season for FGR and they have flirted this season with relegation and an immediate return to non-league football. But on Saturday they gained a much-needed win against local rivals Cheltenham Town. What pleased me most about this game was not the result but the little bit of mild hooliganism that the Forest Green ‘casuals’ expressed before, during and after the game. Now I’m pretty much a pacifist, can’t stand violence in any form, and am glad I can go to a football match and know I won’t get attacked. So why did I smile when I heard a group of lads had been causing disturbances in Cheltenham town centre, letting off green smoke canisters in the stand and invading the pitch to celebrate the winning goal? 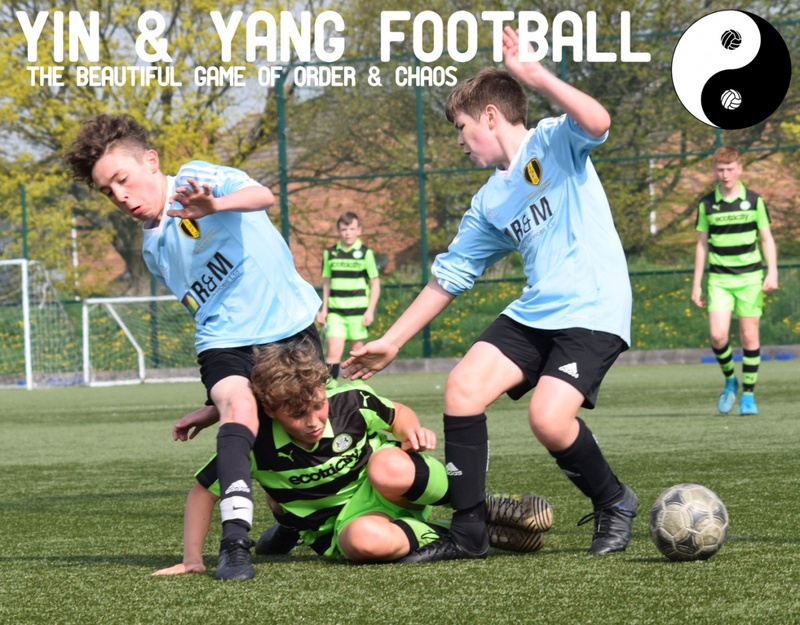 Football as a sport is a little Yin and Yang. There are two teams in opposition, wearing uniforms of contrasting hues and offer a divine combination of brutality and subtlety. I would argue that it is also the perfect symbol of order and chaos. The rules of the beautiful game are rather simple if you exclude the offside rule. But within that framework there are infinite possibilities of how a final score of 0-0 can be achieved. As an example: I have two sons. One plays cricket and the other football. 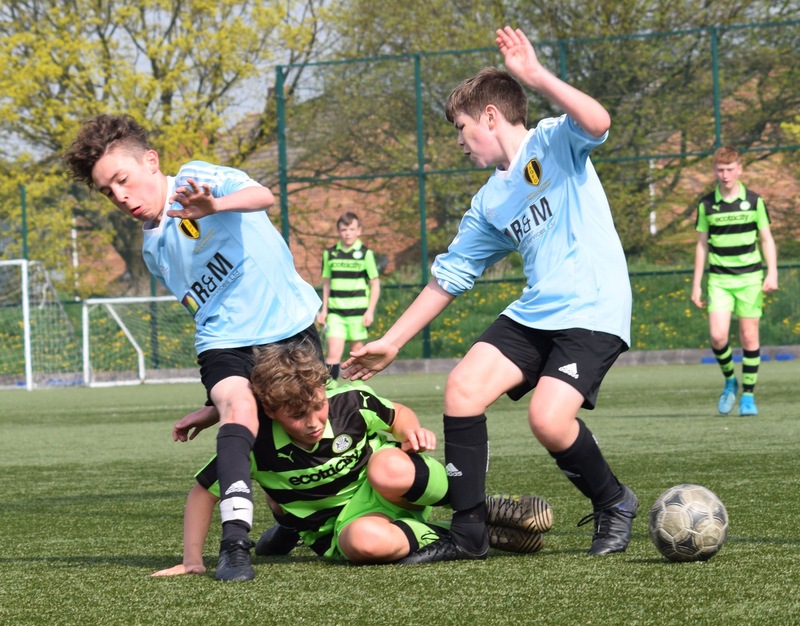 To stop me interfering with the children (with my unsolicited coaching advice), I take photos and send them to the parents, coaches etc… What I have noticed is that almost every photo in football is vastly more interesting than the cricket photos. Cricket is about rules, technique and has a clearly defined action area. Bowling crease, batting crease etc… The movements created by both batter, and bowler, are repetitive. The photos are therefore predictable and to be honest, quite boring. Whereas when I download my latest batch of football photos I am constantly surprised by the variety of shots. Bodies contorted in different shapes, player positions and combinations always changing and the ball never in the same place twice. Is there a better sport that symbolises the perfect balance between order and chaos? But the point I really want to make is what is happening to the fans, what is happening to football in England and what is happening at Forest Green Rovers. If you look at these through the lens of order and chaos/ Yin and Yang it really starts to make sense. While the authorities have taken a little of the chaos away from what happens on the pitch with rules that reduce the chances of a broken leg or bruised ego, they are really the same as have always been. But the real changes in football have been for the fans. The biggest being the elimination of terraces for teams in England’s highest divisions. The terrace is naturally the place where chaos, creativity and passion thrive. It is from the terraces that conversations are entwined, that ideas are hatched and life is lived in flow. But in the aftermath of the Hillsborough disaster the terrace is now perceived as a relic of the past. There is a cost to this policy and is maybe symbolic of our ever controlling society and creeping totalitarian state. English football has become sterile at the highest level and I suggest it might not just be because of over inflated player wages, match tickets and media saturation. Could it be the elimination of the football terrace? Is it a coincidence that Germany has some of the most passionate supporters? Germans are not perceived as people of the most emotional nation. Put them in a safe terrace, which all clubs have and passion happens. Flags waved are not those handed out by well meaning club owners. They are home designed and made, reflecting the organic enthusiasm the supporters have for their team. There are even smoke bombs, which add to the atmosphere. Is it a coincidence that the passionate, creative supporters stand in solidarity on the terraces tolerating the worst views and often the lack of shelter from the elements? So what is happening at Forest Green? The well-meaning owner with genuine ambitions to change the world for the better has invested his millions in to his local football club which not long ago had a fan base of a few hundred. The club is doing well and is used to promote green issues, environmental sustainability and veganism as some of the solutions to help humankind. Meat and milk of the traditional variety are not available in the ground. While this does exert further control over the supporters, Forest Green fans of the more passionate variety congregate in the South Stand terrace. This is where the rebellion festers. This is the area the manager fears when things are not going well and it’s where all passion emanates on match day. Healthy chaos and rebellion are on the terraces of The New Lawn and long may it continue. My fear is that this creativity will be crushed by those who wish to sterilise football even further to placate the authorities who wish to control all aspects of the game. Yin and Yang football please, along with a few smoke bombs.